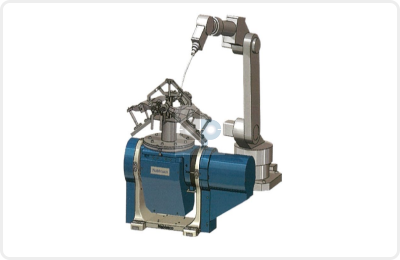 The Nabtesco RVP-A dual axis positioner is designed to accommodate motors from all major servo motor manufacturers, which makes collaborative work with many different robots possible. Multiple different reduction ratios means that the customer can choose the best possible combination for their application, thereby reducing cycle times or allowing for use of small motors. It comes completely sealed and filled with grease. 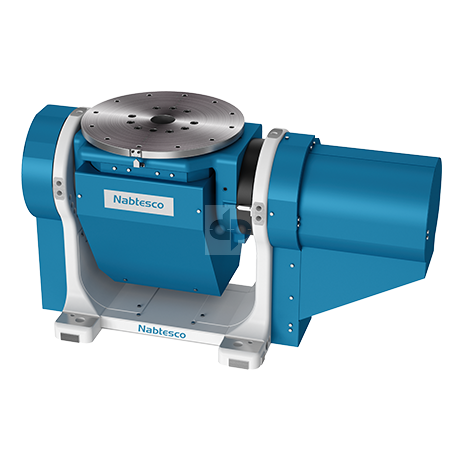 Designed for reliability and compatability, the Nabtesco RVP-A is your ultimate solution for high speed, high precision positioning!